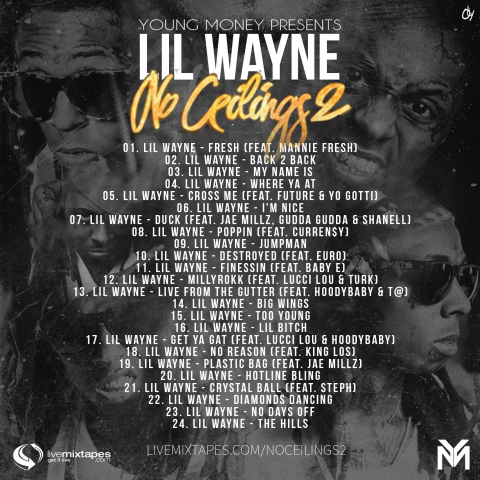 Lil Wayne - No Ceilings 2 - Young Money Ent. Drops Thanksgiving @ 8PM EST! Follow @weezyseason on Instagram. It’s a dope lil Wayne fanpage. No Ceilings 3 Coming Soon!